Published on 30 June 2012. Is there anything summerier than a bit of lemonade? 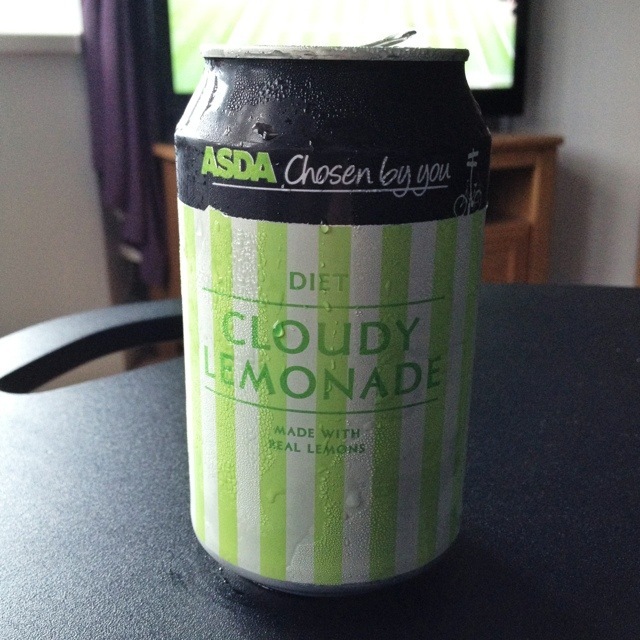 There are, admittedly, plenty of things summerier than Asda’s Diet Cloudy Lemonade (“Made with real lemons”) – I’d love a bit of fresh ice cold still Sicilian lemonade, but this is the nearest thing I can find in the house! It’s 4% comminuted lemon from concentrate and 1% lemon juice…! This 1,706th post was filed under: Photo-a-day 2012, Asda.